ConocoPhillips’ Malaysia operations consist of exploration and producing fields in Sabah and Sarawak. The company’s involvement in Malaysia began in 2000 and consists of interests in six blocks in varying stages of exploration, development and production. Three of these blocks are located off the eastern Malaysian state of Sabah: Block G, Block J and the Kebabangan (KBB) Cluster. These three blocks include four producing fields. 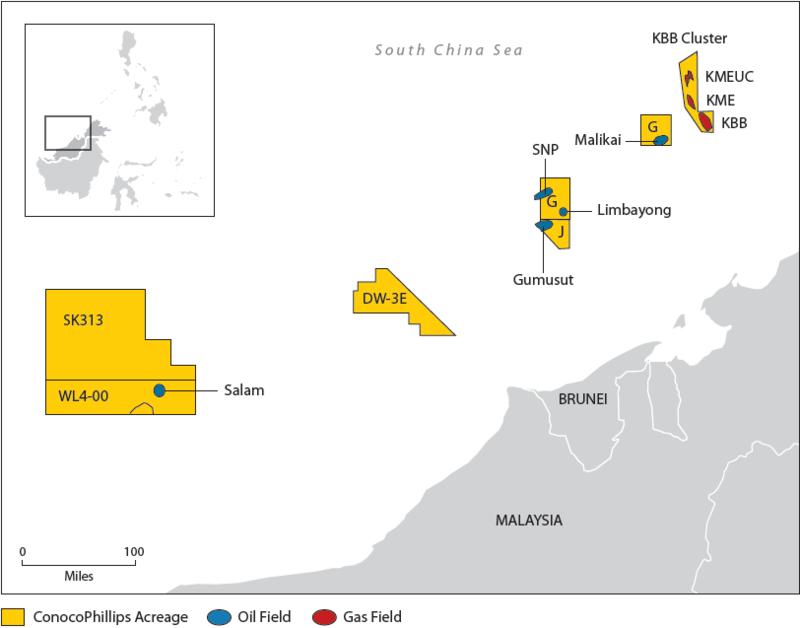 The three other blocks, Deepwater Block 3E, Block SK313 and Block WL4-00, are operated by ConocoPhillips and are located off the eastern Malaysian state of Sarawak.